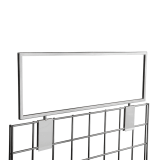 The 6ft Gridwall Double Sided Display Kit is a great addition to any shop floor or exhibition space. 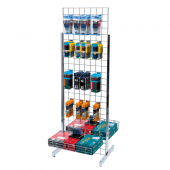 This versatile kit comes with everything you need to create an enticing display as you can showcase products at different heights to draw customers in. 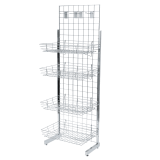 The standalone construction of the unit enables you to save shelf and floor space, all in a cost-effective bundle. 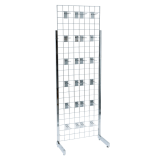 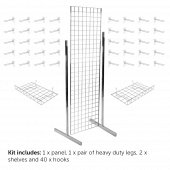 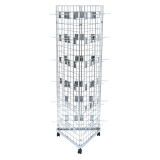 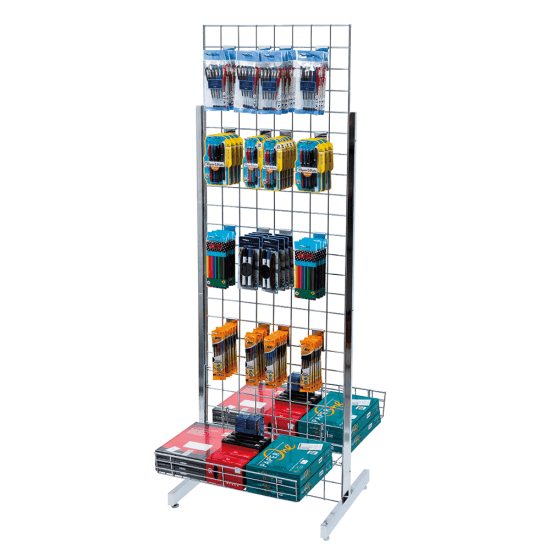 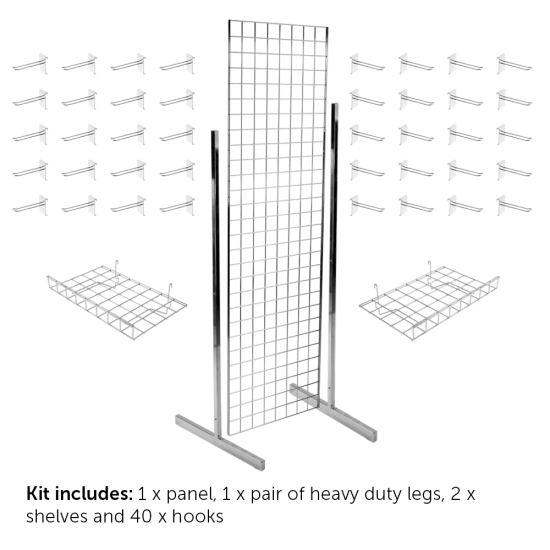 What is included with the freestanding gridwall display? 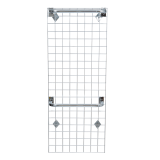 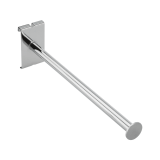 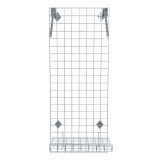 The gridwall panel and accessories are all constructed from commercial grade steel and have a polished chrome finish.